Hotel Tango Release Party This Weekend! Bourbon & Whiskey Release Weekend! This weekend we will be releasing a NEW COCKTAIL MENU which features Hotel Tango Bourbon and Whiskey! 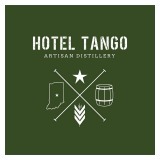 Hotel Tango is the first service-disabled combat veteran-owned distillery in the country. The founder, Travis Barnes, fought for our country in three combat tours in Iraq states "We make a product we believe in for the country we fought hard to protect. And our mission is simple: To make spirits that everyone can be proud to serve." For each guest this weekend with a valid DD 214 or active id we will be offering them a $10 gift card. Warm up your Wednesdays with midweek comfort food specials! To help get you over the hump of midweek we'll also have Bud Light at $2.50 a bottle every winter Wednesday! 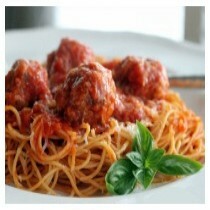 Kicking off with capellini pomodoro with a bison meatball and truffle garlic bread tonight! Have a favorite comfort food you would like to see? Click here and let us know! Make plans now! Grab your squad and spend a relaxing afternoon (or two!) sipping, shopping and savoring your way through your Christmas list. 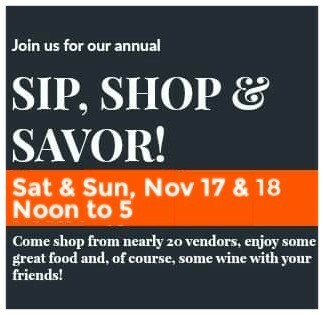 From noon until 5pm each day our event venue will be filled with vendors offering all kinds of gift worthy goods! Take a break 'from shopping 'til you drop' by enjoying lunch, dinner or Sunday brunch in the restaurant or lounging by the bonfire outside with a glass of wine or one of our new signature cocktails. This Sunday we're hosting a sign painting workshop. 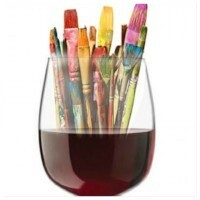 Choose from dozens of templates and reserve your seat here. Deadline to pre-purchase is 2pm, Wednesday November 7th.